Taking care of our body is the one thing we generally have control over in this life. We may not be able to control everything, but taking some personal responsibility over our health is something each of us can do. The following hacks are things I have ﬁgured out as a single mom, multi-preneur over the last 26 years. In my book Simply Functional medicine, available on Amazon, I outline how to clean up some basic life habits of Eat, Drink, Move, Sleep,Think and Feel. These have become non-negotiables in my day. I have been accused of taking a preIy hard stance and seeming to have liIle grace for excuses. I don’t mean to ever seem like I don’t have compassion, I know everyone has “stuﬀ” in their life. I do my best to approach this with love, grace, and humor. 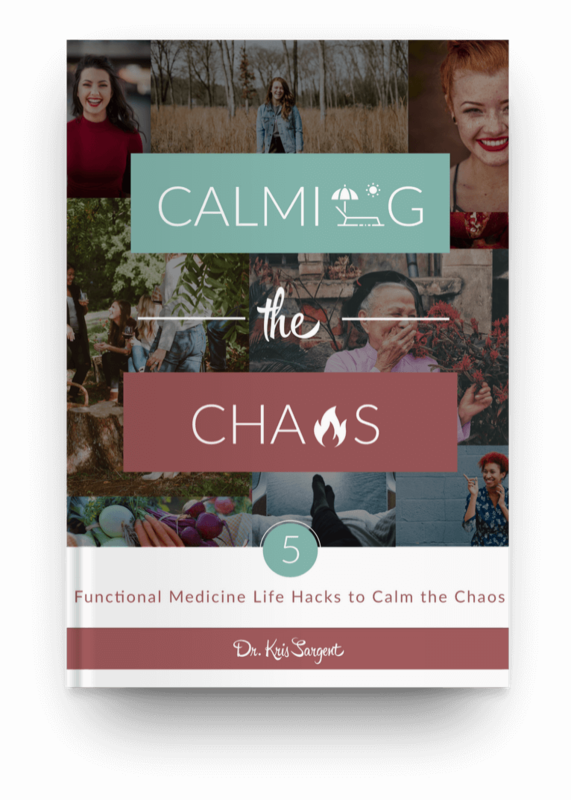 I also know that 70% of Americans are overweight and obese, we all have “stuﬀ” and we all make choices...what is your choice for calming your chaos? You ﬁnd time to brush your teeth, every day, right? Just because the dog threw up on your white carpet, or your hamster died, somehow, you have ﬁgured out how to brush your teeth, everyday. That’s what I mean by non-negotiable. I ﬁgure out how to make this stuﬀ happen, regardless of the crazy teenagers, my 88 year old mom - who may help with the chaos or create some of it, 2 dogs, 3 ﬁsh and amazing partner, Dave. And, oh yeah, a pracice, book, blog, vlog...You get it, I’m just as “busy” as everyone else. I have made some choices that I know I need to do to take care of myself and family, so I can be my best. The foundation of health consists of ﬁve basic things - Eat, Drink, Move, Sleep, Think and Feel... These are the ﬁve things we need to keep as our top priorities to stay healthy. Like changing the oil in your car keeps your car healthy...Doesn’t it make sense to get these things straight as priorities to stay healthy? Life Changing Information. No Strings Attached.